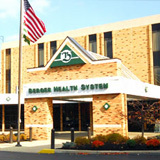 At Berger Health System, we take great pride in the fact that we are recognized as a leader in healthcare. Each day our employees provide state-of-the-art services and create experiences that impact their patients, families, colleagues and community. They demonstrate an unwavering commitment to compassion, service excellence, and teamwork. It is this dedication to our values and vision that has helped Berger to become the successful and innovative community hospital that we are today. Berger Health System is dedicated to providing our employees with the highest quality of life, both at work, and at home. Located just 30 minutes south of Columbus in beautiful Circleville, Ohio, our employees enjoy the advantages of a small community close to larger cities and outdoor recreation. Because we offer flexible schedules and plenty of paid time off, our employees can relax and enjoy all that the area offers.